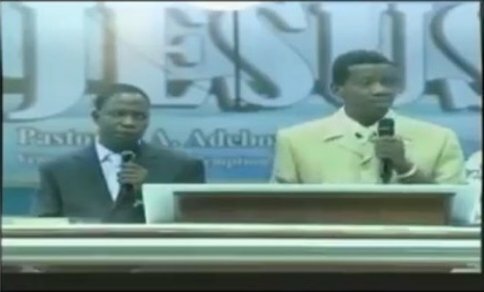 Recently, Pastor Enoch Adeboye of Redeem Christian Church of God (RCCG) made an announcement that goes viral both on social media and the internet as a whole. The pastor is demanding for the sum of One Billion Naira (N1bn) donations from his congregation members or any interested cheerful giver(s). The pastor added that any interested person should see his secretary and also, people who can donate One hundred million naira (N100m) can do so. But, after Pastor Adeboye’s announcement asking people to donate N1 billion for him, an “On-air-personality”, Freeze has laid some criticism on what the pastor said. And the people continued to bring freewill offerings morning after morning. So all the skilled workers who were doing all the work on the sanctuary left what they were doing  and said to Moses, “The people are bringing more than enough for doing the work the Lord commanded to be done.”  Then Moses gave an order and they sent this word throughout the camp: “No man or woman is to make anything else as an offering for the sanctuary.” And so the people were restrained from bringing more,  because what they already had was more than enough to do all the work. Also, some few celebrities have also join Freeze to let their opinions and views known as this is becoming too much of Nigerian big pastors who they do ministry to God to make money.